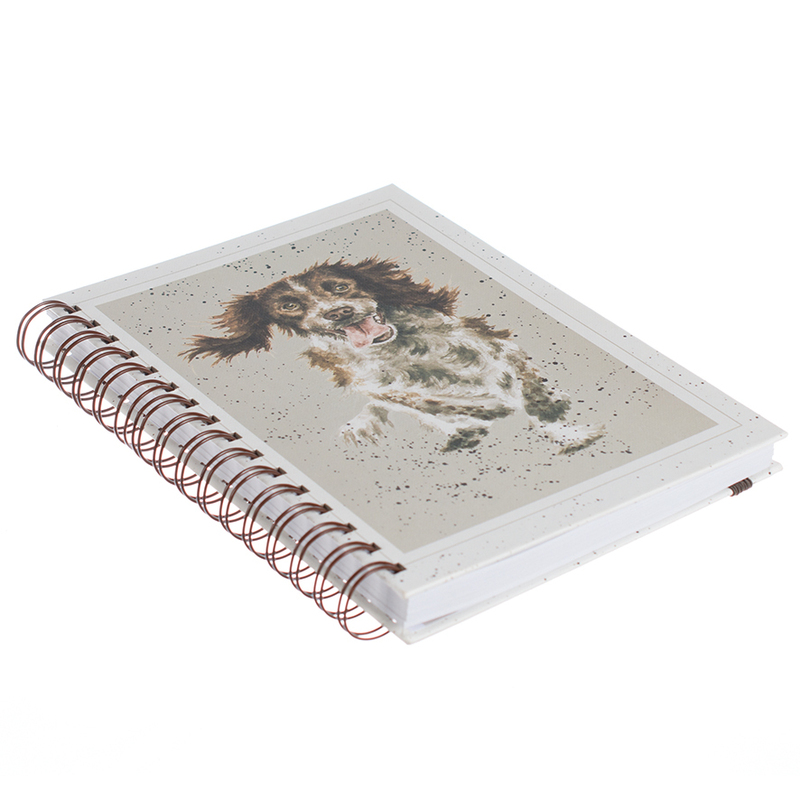 A hard backed, spiral bound A5 notebook with Wrendale Design’s skye liver and white Spaniel. A beautiful drawing which really captures the muddy and energetic springer. The notepad has a textured finish and each page is lined and printed with a leaf and feather design, finished with elastic to keep the book closed.